What's the first thing everyone thinks of when the New Year rolls around in January? Self-improvement? Okay, glaucoma probably isn't the first thing everyone thinks of, but if the fine people who are your optometrists and ophthalmologists have anything to say about it, they hope that this January you take steps to schedule an eye exam and protect your vision during National Glaucoma Awareness Month. Glaucoma is the second leading cause of blindness in the world affecting over 60 million people. Only cataracts cause more blindness. In the United States, glaucoma represents about 9% to 12% of blindness, affecting over 100,000 people. It's also the leading cause of blindness for African Americans and Hispanics in the US. Over 4 million people in the US are diagnosed from it. Glaucoma is caused by increased intraocular pressure in the eye. In the front part of the eye (called the anterior chamber) there is a liquid substance called aqueous humor located in between the lens (which helps you focus) and the cornea (the bulge on the front of the eye). 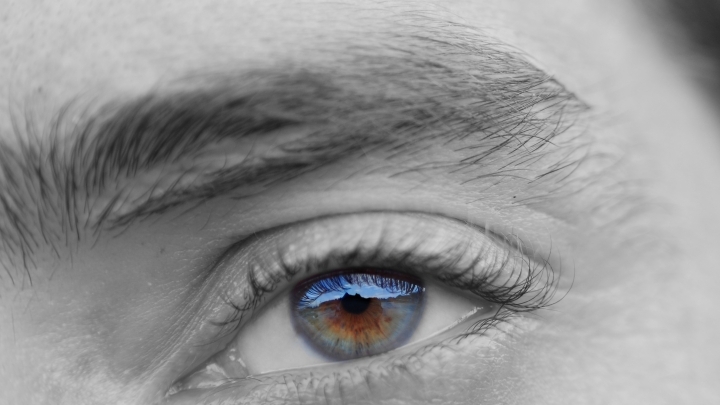 Aqueous humor originates from the plasma in the blood, and provides nutrition and immune function (yes, your eye needs immune function) to this part of the eye. It is produced constantly, and must be drained from the eye, and when the drainage of the aqueous humor is compromised, the pressure in the eye increases. The optic nerve, which is responsible for carrying all visual information to the brain, is damaged by increased pressure, and the damage is irreparable. The most common form of glaucoma is called open-angle glaucoma, which represents about 90% of all cases. In open-angle glaucoma the condition is painless and begins by affecting vision on the periphery of the visual field. Most people who have it will not even notice the changes until it starts to creep into their central visual field. The other 10% of cases of glaucoma are caused by closed-angle glaucoma, which occurs suddenly with extreme pain, visual disturbances like lights and halos, and nausea and vomiting. Closed angle glaucoma is a real emergency and must be treated in the emergency room to prevent permanent blindness. People of East Asian descent are at the highest risk for developing closed angle glaucoma. Insidious, slowly developing blindness that causes subtle symptoms is pretty terrifying. But the point of National Glaucoma Awareness Month is to get the word out to the people at risk, and what they can do about it. There's no shortage of resources and ways to treat it. Everyone over age 60 should have an eye exam, as advanced age is the largest risk factor. Unfortunately, glaucoma disproportionately affects African-Americans and Hispanics in greater numbers, so this group should begin getting eye exams checking for glaucoma at age 40. It has been reported that African Americans between the ages of 45 and 65 are fourteen to seventeen times more likely to go blind from glaucoma than Caucasians in the same age group. Eye exams are doubly important for diabetic patients, as they're at risk for glaucoma as well as diabetic retinopathy, another leading cause of blindness in the US. And as is the case with many medical conditions, people who have a family history of glaucoma need to be checked as well. Previous eye injuries or surgeries also predispose to secondary glaucoma. Unfortunately, there is no cure for glaucoma. Like other chronic conditions, the goal after diagnosis is management of the condition and minimizing any further damage. This is usually accomplished by a number of different medications in the form of eye drops that either help to decrease the production of aqueous humor, or help the eye drain it. A major problem with treatment for glaucoma is compliance, because the eye drops have to be taken every day (sometimes multiple times a day) for the rest of the patients life. A 2003 study cited in the New York Times reported that half of the patients diagnosed with glaucoma never filled their first prescription, and one out of every four patients failed to get their first refill. There are a variety of surgical options that can enhance drainage of fluid from the eye as well, such as the most common, the trabeculectomy, which increases the size of the drainage port of the eye. Laser surgery is an option to do the same procedure. Unfortunately none of these surgeries will cure glaucoma, only temporarily treat it. The use of cannabis (marijuana) as a treatment for glaucoma has received much press over the years, usually as a point of contention in the larger debate over the legalization of the drug. While the American Academy of Ophthalmology (AAP) has acknowledged that ingestion of cannabis derivatives does reduce intraocular pressure, their official position is that there is no scientific evidence that cannabis is better for glaucoma treatment than the current FDA approved pharmaceuticals. No one needs to go blind from a treatable disease. If you in the age groups mentioned or are part of an at-risk ethnicity, schedule an eye exam. The exam is easy and treatment is simple. For people aged 65 and older, Eye Care America, the public service branch of the Foundation of the AAP offers no-out-of-pocket cost eye exams. Go to www.eyecareamerica.org for details about finding a volunteer ophthalmologist in your area. If you're younger than 65 but are in an at-risk group, talk to your family doctor about finding an ophthalmology clinic in your area.